INSPIRED brings together designers and leaders of learning experience who are engaged in transformative work from across the range of NYSAIS schools to share best practices and build a community of learners. Have a forward leaning practice, innovation or creative change project story that you want to share and discuss with other NYSAIS colleagues? Click here to express your interest in being a guest on an upcoming INSPIRED conversation. Each month during the school year, we gather online for a one-hour moderated Zoom video conference to hear from a featured NYSAIS educator(s) about an inspiring best practice(s) taking place in their school or in collaboration with other schools. In large and small group discussions, participants explore the ideas, issues, opportunities and challenges connected to this work. INSPIRED brings educators together who given the various constraints of time and place might not otherwise be able to connect in person. We seek to convene a community of educator leaders who engage daily in innovative and creative change focused work that has learning as its primary goal. We see these conversations as a way to build a network of practitioners and establish deeper connections across NYSAIS schools. Participation in INSPIRED conversations is offered at no cost on a first come, first served basis. You can register for each session individually or you can sign up for multiple sessions at once. All sessions are from 7-8p.m. Eastern. INSPIRED is a collaboration between the Innovation Institute at LREI and NYSAIS and acknowledges a debt of gratitude to the Sandbox project developed by the Center for Transformational Leadership, which has inspired this effort. The 2018-2019 conversation series is under development. We’re aiming for a January kick-off. Click here to register for the full series of conversations. Join Little Red School House & Elisabeth Irwin High School (LREI) 11th Grade Trip Coordinators Allison Isbell and Chris Keimig for an in-depth conversation about the design process that produced LREI’s inquiry-driven, place-based learning model that drives the trip experience. They’ll share how the process prepares students to become effective advocates for change by first giving them the tools to examine complex issues, their own agency in relationship to those issues, and how to work together with community stakeholders toward meaningful change. They’ll share insights about successes, challenges and opportunities for growth connected to our year-long 11th-grade place-based research project in which students and teachers collaborate to create week-long experiential learning trips focused on critical social issues. The Innovation Institute at LREI supports school and community-based learning and innovation initiatives that leverage the power of progressive pedagogy. This work is grounded in the values of experience, inquiry, collaboration, and growth. The Innovation Institute supports the cultivation of mission-aligned learning experiences at LREI, seeks to develop connections with other schools and learning partners, and supports the professional growth of teachers within and outside of the LREI community. This work is achieved through ongoing collaboration with partners on learning experience design, iteration, and reflection. 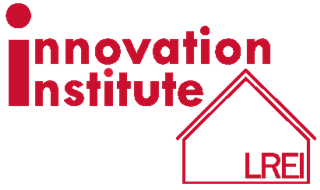 Consistent with our origins as a laboratory school, the Innovation Institute supports projects imagined and created by LREI faculty and administration. These projects foster ongoing inquiry at LREI and seek to strengthen relationships with our other learning partners. The work of the Innovation Institute is undertaken in the spirit of creativity, collaboration and consequence. Copyright © 2019 Inspired. Powered by WordPress and Saga.